The New England Produce Council (NEPC) and the Organic Produce Network (OPN) announce the first New England Organic Produce Conference scheduled for May 1st at Gillette Stadium, Foxboro MA. Together for the first time, NEPC & OPN will be presenting an educational event that will feature Shannon Allen as the keynote speaker. 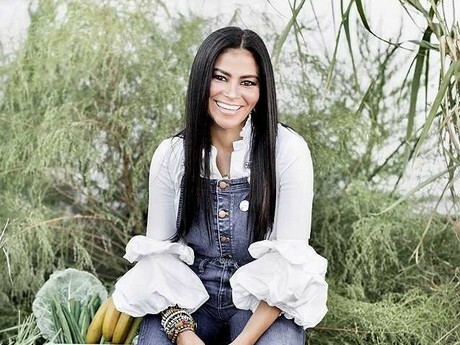 Shannon Allen is the creator of grown, a 100 percent USDA organic certified fast food restaurant aiming to fill a void in the market with “real food, cooked slow, for fast people". It was in 2008, shortly after their middle child, Walker, was diagnosed with Type 1 diabetes, that Shannon spent a frustrating evening driving up and down Route 9 searching for real food with the convenience of a drive thru. That’s when she had her “ah ha” moment and grown was born. With five units in just two years since opening their flagship store in Miami, Allen said it’s evident that grown has struck a nerve with busy people who are looking for convenience without compromise. The company will begin awarding franchises in 2019. “We are very pleased and excited to invite Shannon Allen back home to New England to share her expertise on organics. Also, we are very happy to be working together with the Organic Produce Network on this event,” said Anthony Sattler, President of the New England Produce Council. Some other highlights of this event include: Neilson Report, Organics 101 and a retailer roundtable. “Having Nielsen, Tonya Antle, Matt Seeley and Shannon Allen presenting their absolute best as experts in the area of organics in one venue will make this a powerful event,” stated Tom Murray, V.P. Produce Roche Bros. The program was developed in a partnership with Massachusetts-based New England Produce Council, Inc. and California based Organic Produce Network.